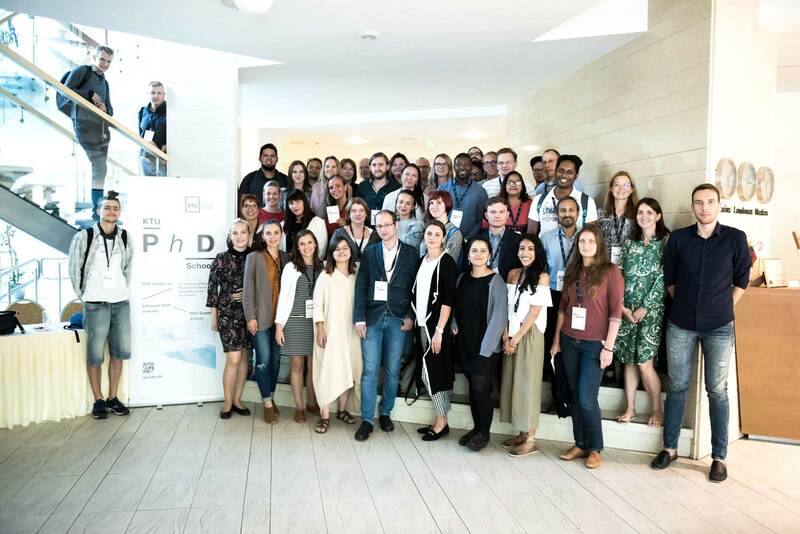 The popularity of the International PhDSummer School organised by Kaunas University of Technology (KTU) together with European Consortium of InnovativeUniversities (ECIU), University of Stavanger and University of Aveiro is growing. More and more doctoral students fromdifferent countries of Europe and the rest of the world are coming to theSummer School to a Lithuanian seaside resort Palanga in the end of August. Thisyear the Summer School was organised for the 3rd time. 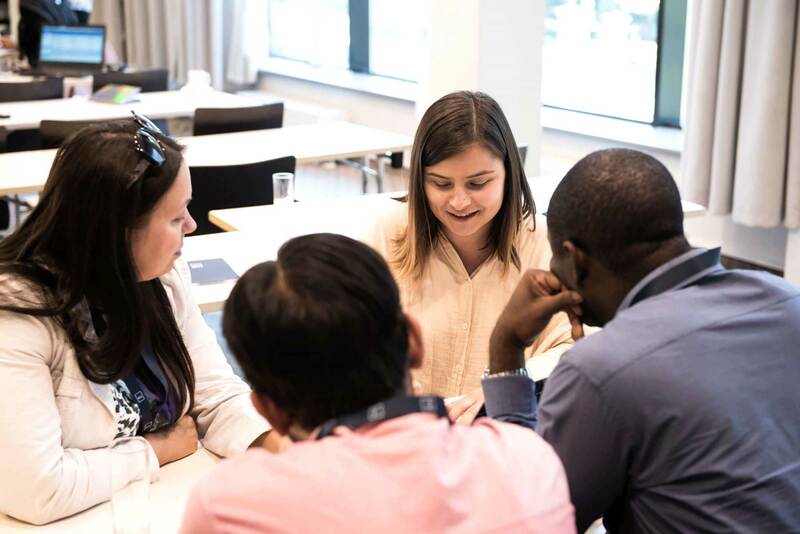 The focus of the International PhDSummer School is the development of transferable skills, such as social skills,networking, increasing of international visibility. The four-day programmeincluded intensive courses on research ethics, presentation and communicationskills, research project preparation, the lectures on entrepreneurship andinnovation. The seminars and workshops were delivered by teachers fromLithuania, Norway and the Netherlands. 49 doctoral students coming fromBelgian, Danish, French, Spanish, Italian, British, Lithuanian, Portuguese,German, Pakistani, Polish and Dutch universities and representing variousscience fields and branches participated in the Summer School organised by KTUin cooperation with ECIU. The common goal among the youngresearchers is expansion and development of general, transferable skills andnetworking. “Usually in the Western Europe PhDstudies are focusing on development of transferable skills – the students arelearning how to prepare a presentation, how to apply for funding, how to manageaudience, and other skills. However, in Central and Eastern Europe doctoralstudies mainly focus on the speciality skills and knowledge; that’s why theymay lack transferable, general skills”, says Leonas Balaševičius, KTUVice-Rector for Research and Innovation. The topics for the intensive courses ofthe Summer School are being selected according to the preferences of theparticipants. ECIU is organising a special survey, where European doctoralstudents are indicating the skills, which development would be the mostessential to them. According to Vilma Sukackė, KTU PhDstudent, the International Summer School helps not only to improve transferableskills, but also is a great place for making new relationships with doctoralstudents from Lithuania and abroad. “This is a perfect opportunity to look atthings from a different perspective, from a point of view of somebody who isfrom other country, from other research environment. However, we are all unitedby the strong wish to increase knowledge, to solve the problems”, says Sukackė. According to her, doctoral studies areproviding great pleasure to those, who adore challenges and problem solving. Zianaha Alyemni from Saudi Arabia, whois studying in France, says that although the participants of the Summer Schoolare representing different cultures and science branches, and have variousexperiences, they can find common ground while working together. “We all face similar challenges. Whenyou are a starting researcher, you are never on holiday”, says Alyemni with asmile. Seminar, which was extremely popularamong the students, was Martijn Wackers’ (Delft University of Technology,Netherlands) class on communicational skills. During the workshop theparticipants had 1 minute to introduce their research and to “sell” it to theboard. “When I found out that I will have onlyone minute for my research presentation, I was a little bit scared – where tostart from and how to fit everything in? It was complicated, but in the end ofthe day we all became great speakers. It is very important to exchange ideasand knowledge with a wider circle of people, not only your team. We must talk“human” language, so as not only representatives of our science field, but alsogeneral public would understand the importance of our work”, says ColumbianZaida Natalia Uribe Wandurraga, currently studying in Spain. The doctoral students are aware of thescientists’ responsibility to inform the society about their research. “We understand that science is notvaluable if it’s not responding to the needs of the society, if it doesn’tensure democratic process, where the society is informed about and isacknowledging the research funded by public money. Researchers have to be moreinvolved into being citizens of a society, and to popularise research”, saysOana Antonescu, from the University of Copenhagen. This year the classes in theInternational Summer School were led by distinguished scientists and teachersfrom across Europe: Martijn Wackers from Delft University of Technology, TelmaEsteves from Twente University, Roger Strand from the University of Bergen andArminas Ragauskas from KTU. It is being planned that in the futuremore ECIU members will join the current team of University of Stavanger,University of Aveiro and KTU in organising the International Summer School inLithuania.